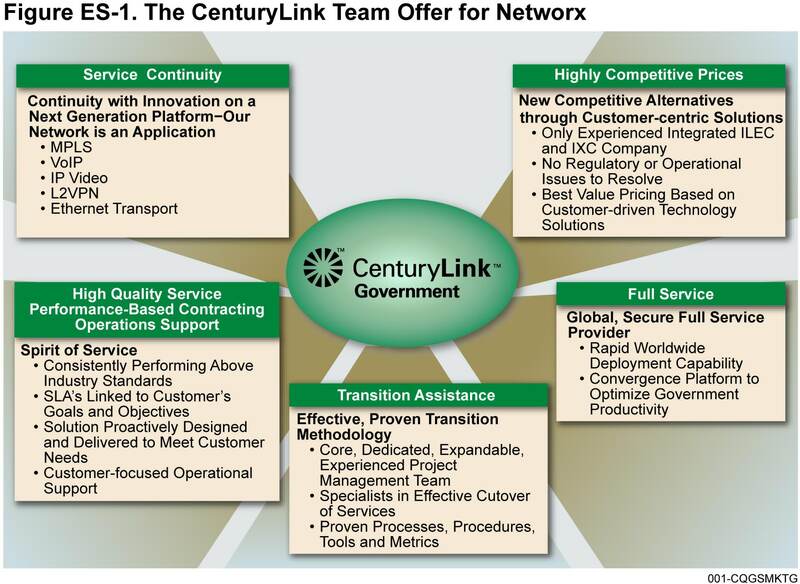 The CenturyLink Team is a unique blend of experienced professionals who understand the GSA/FTS environment and have successfully delivered FTS services to agencies for years. 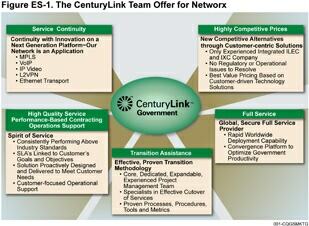 The illustration above provides an overview of CenturyLink's visionary fit for each Networx goal and objective. The foundation for our success is our state-of-the art converged services network. As a telecommunications industry leader, CenturyLink consistently challenges the competition with our interoperability, cost-effectiveness, service quality, and successful implementation of convergence. With a Spirit of Service second to none, CenturyLink will continue to provide the GSA and your agency with innovative solutions that incorporate the complete array of available Networx services.